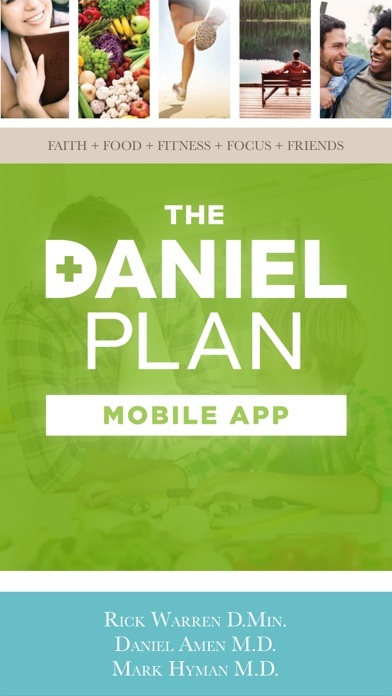 Enjoy a healthier life as you live the Daniel Plan daily with the help of the official Daniel Plan app! 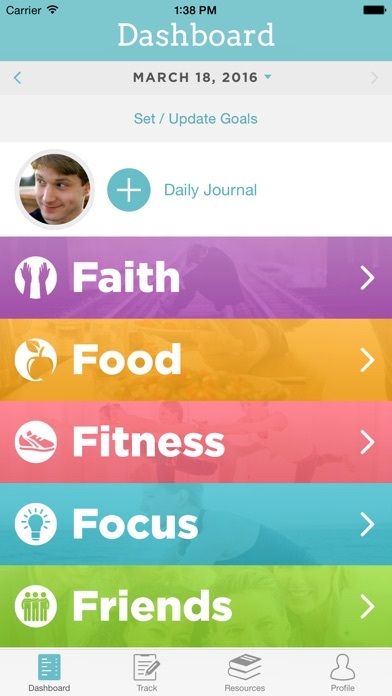 This indispensable tool enables you to track daily progress in the 5 Daniel Plan essentials: Faith, Food, Fitness, Focus and Friends. The Daniel Plan app gives you the power to: 1. 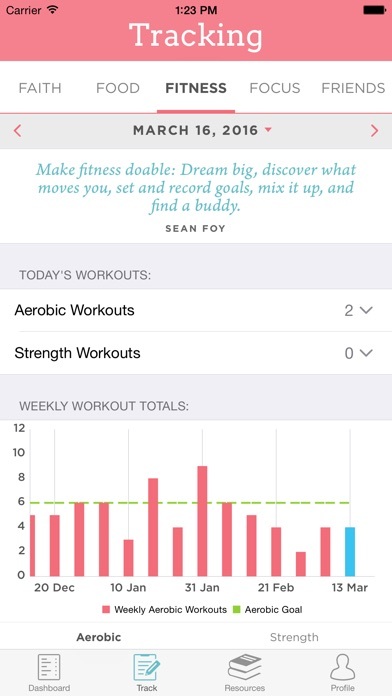 Track your daily progress in all 5 essentials. 2. Record what you eat and check how close you get to the Daniel Plan plate. 3. Stay focused on the plan with encouraging quotes from Dr. Rick Warren, Dr. Daniel Amen, Dr. Mark Hyman, and other contributors. 4. Set goals and journal your steps to achievement. 5. Take advantage of free bonus resources to help you along your journey to healthier living. Download the app and get started now. I appreciate and thank DanielPlan’s team for this blessed tool. Even though I have a study journey (where I write personal things around the reading of the Devotional and other Daniel’s Plan book); this friendly app helps me so much to organize my thoughts in each and every essential. It is great tool. Great if we could have it across other devices and to be able to backup it or print it, or share it. 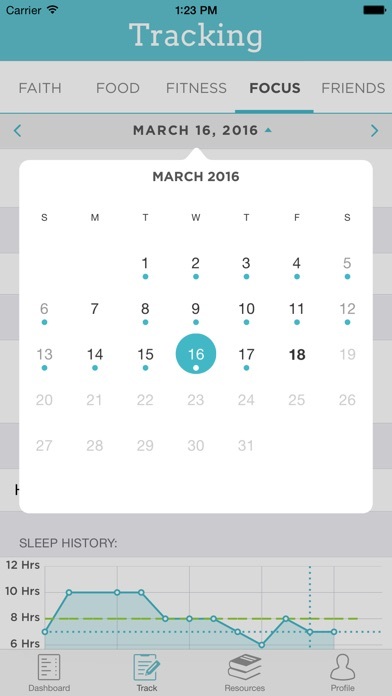 The journaling feature is great although i will likely use the hard copy. It needs some additional features such a place to track weight, a resource that shows the Daniel plate and good foods list. I also would like to be able to have an account so if my phone dies or is lost my info doesn’t go with it. Lastly it would be great to connect to fitness trackers. With the wealth of technology and resources available today, I expected more from this app. It has no functionality, no synching capabilities, no social functions, and doesn’t even connect with your Daniel Plan online profile, leaving you to update twice if you want the info both places. There is no advantage that I can see to using or having this app and I would not recommend it. While I am grateful for the option to use the app for journal entries vs. the hand written journal. Other than this there are little benefits. There is no login, no option to sync across devices, no lock or privacy to secure the journal, no capacity to connect socially via Facebook, Twitter, or even just the app exclusively. No schedule reminders for water consumption, and no way for an accountability partner to check in on any or all of the five areas. The Facebook support group agrees these features need to be added ASAP. I don't understand why there's a feature to take a daily photo in the app and no means to actually share it. Glad to see the App got added to the overall program! What a great bonus! However, it lacks social connection which is so critical. I'd love to see a social feature. It would be so helpful for accountability and encouragement. Plus I do not see a way to log your daily water consumption only set the overall goal. It's hard to mentally guess water consumption and see if you are reaching your daily goal. 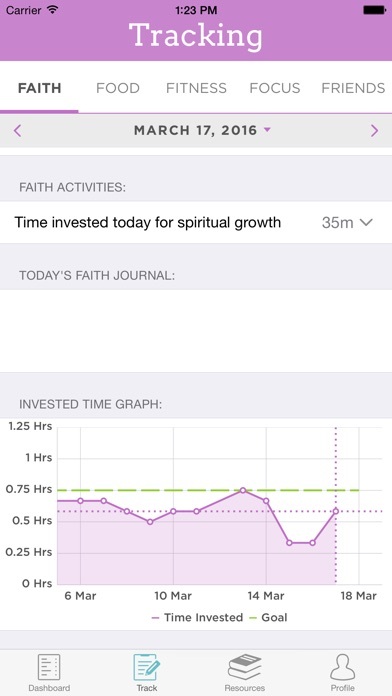 The Daniel Plan app was easy for me to use. Love it! Wonderful app to help me get healthy.